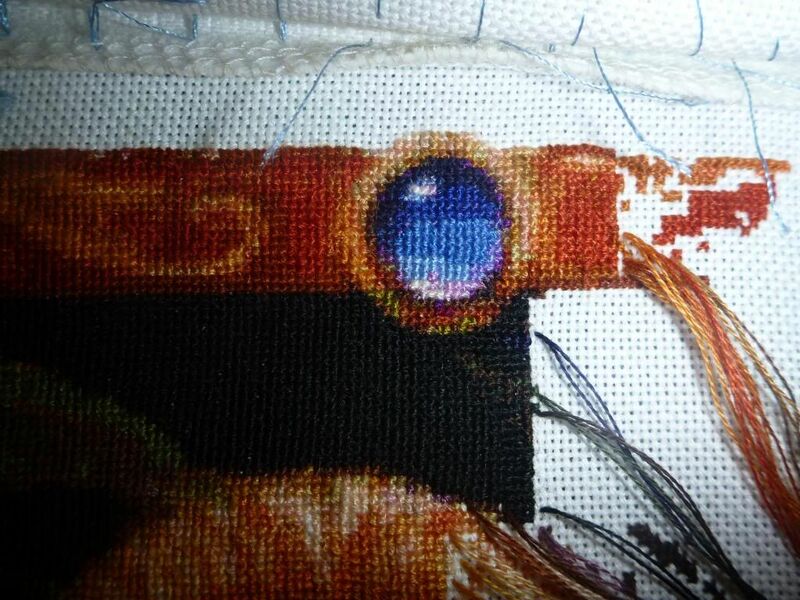 Naughts & Cross stitches: Half page finish! I'm really really excited. 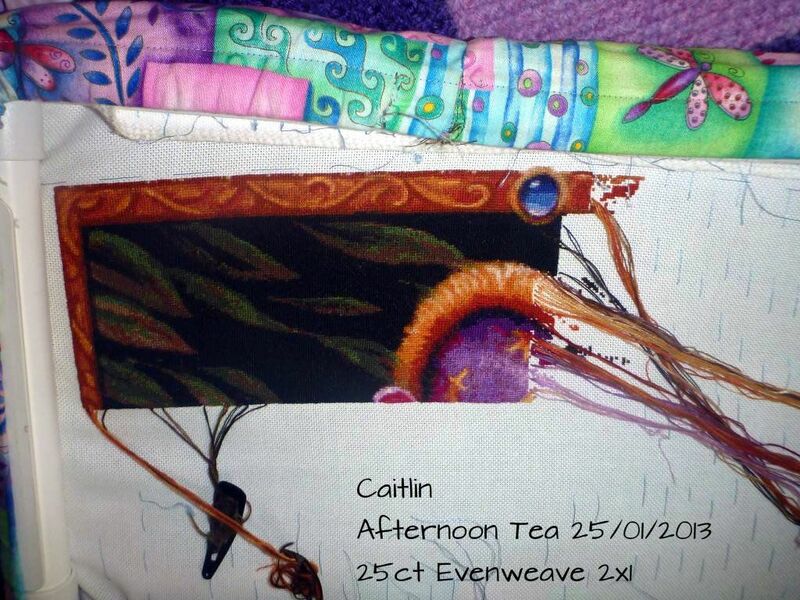 I finished another half page of Afternoon Tea. 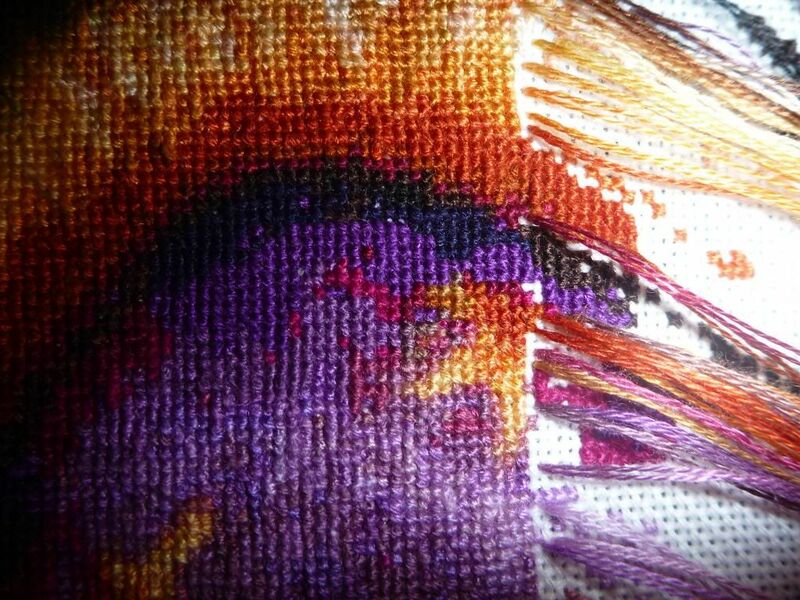 I've been trying to seriously park my stitches block by block and I think I am faster as I don't spend ages agonising over what colour I am going to start. I think I always spend longer thinking than stitching. Now I realise as well that I haven't given you an update for over a month! This was in my last WIPocalypse post. 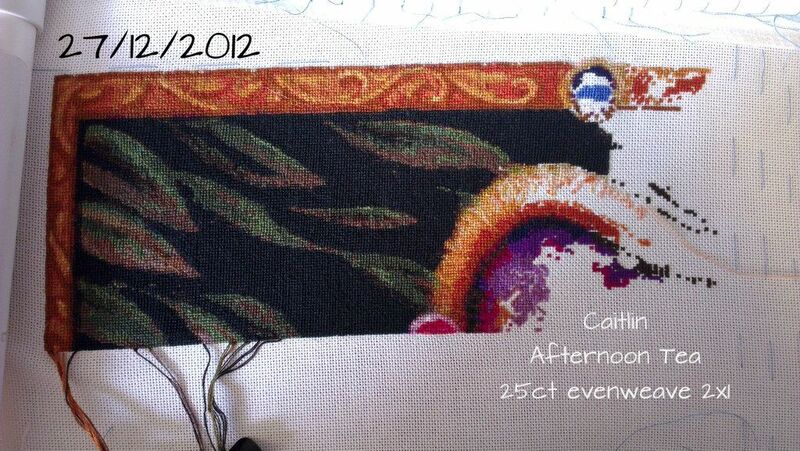 Which I will admit I have been stitching on this a bit in the last month. There are so many colours in this blue gem and around it it was crazy! You can kinda see all the beautiful colours. There is purple and pink and all sorts of wonderful stuff. The colours in this star are stunning. There is so much around the star, bits of colour everywhere. I am thoroughly enjoying this at the moment so ta-ta I'm going back to it. Thanks for the great close-up photos! It looks beautiful. It looks gorgeous! I think I am gonna try parking on my next project since there is so much confetti, but I'm really scared about it since I've never done it before! My mind boggles with all the colours, well done on your progress.